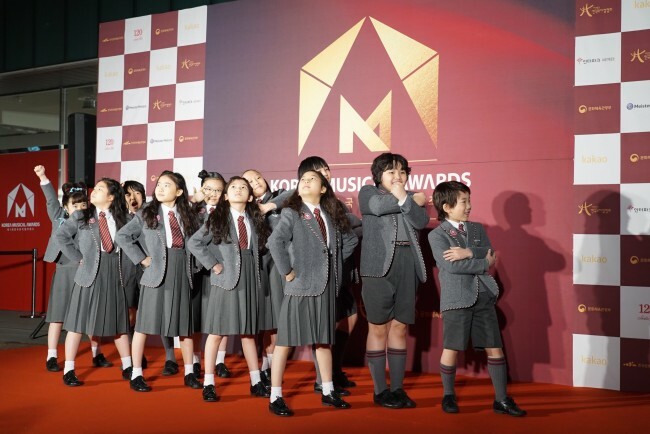 The night of the 2019 Korea Musical Awards shone bright with musical stars on the red carpet. 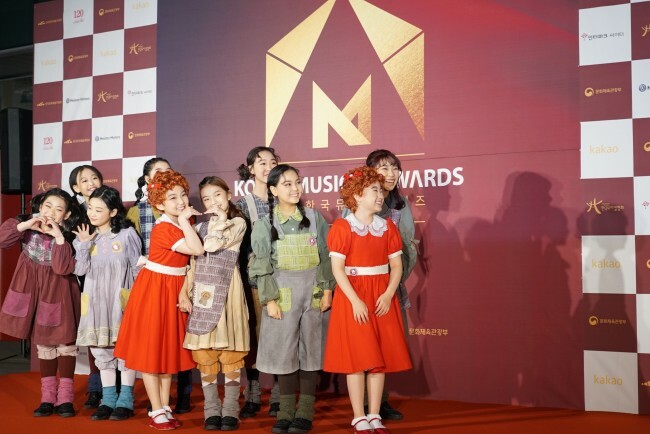 With many musicals staged last year, a diverse group of stars nominated for awards attended the event held Monday. 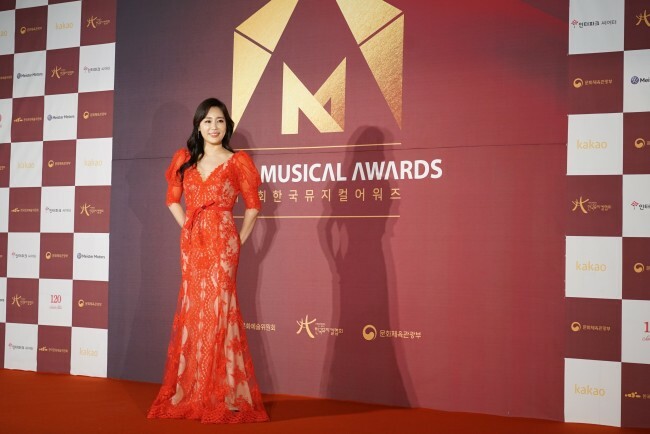 Shin Young-sook wore a vivid red dress. The actress was nominated for best supporting actress this year for her role as Duchess Josiana in the musical “The Man Who Laughs” last year. Shin currently plays the lead role of Elisabeth in the musical of the same name. Child actors and actresses also caught the eye of participants Monday night. Stars from “Billy Elliot,” “Matilda,” “Annie,” “Elisabeth” and “The Man Who Laughs” brightened up the atmosphere with their innocent laughter. 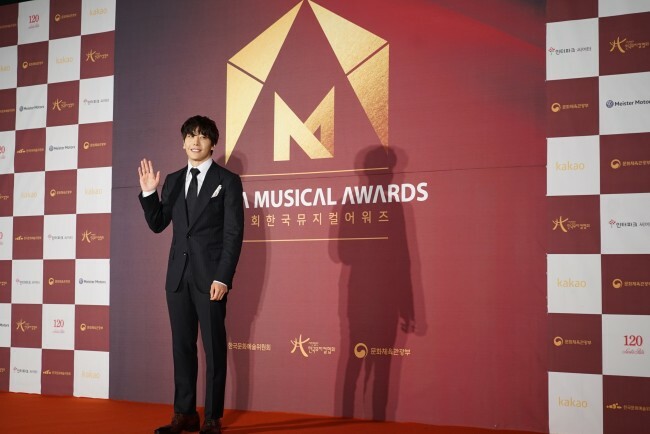 Singer-actor Park Hyo-shin was the last to appear on the red carpet. Clad in a suit with a pocket square, he beamed at fans in front of the photo wall. 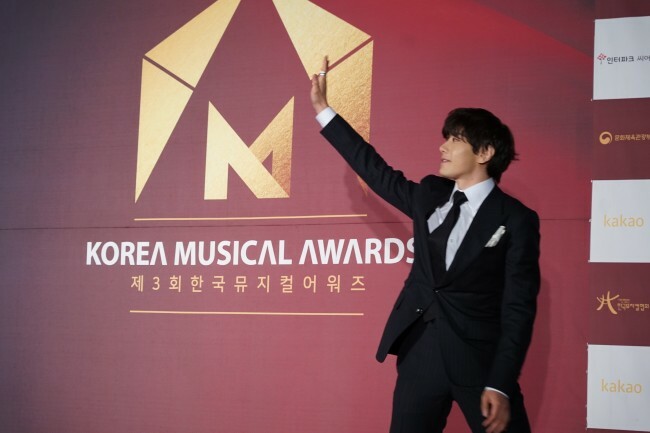 The actor, who played the main character Gwynplaine in the musical “The Man Who Laughs” last year, won the best actor award at the 2019 Korea Musical Awards. 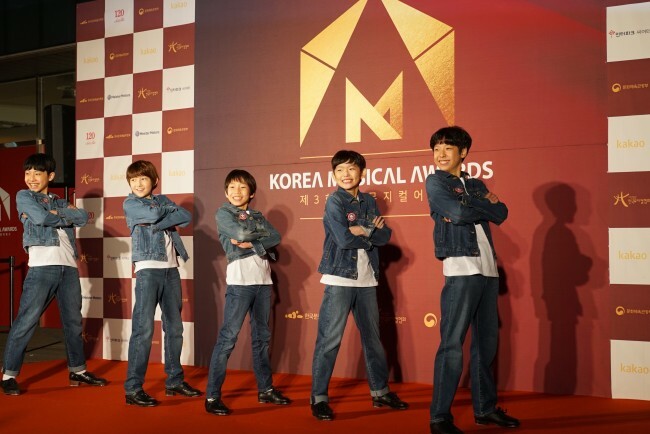 Park also won the best actor award at the seventh Yegreen Musical Awards held on Nov. 5 last year.